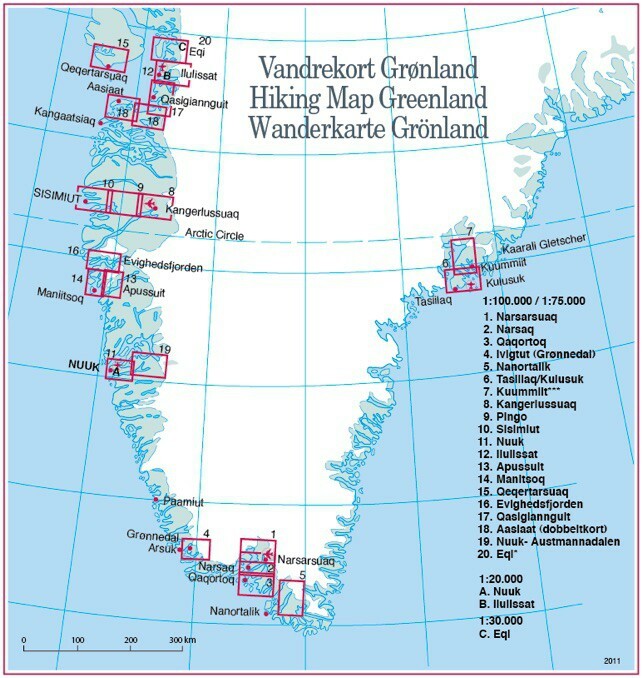 Narsarsuaq - South Greenland hiking map n°1 edited by Greenland Tourism. Topographical map, scale 1:100 000, interval 25m. This map is printed on waterproof paper. 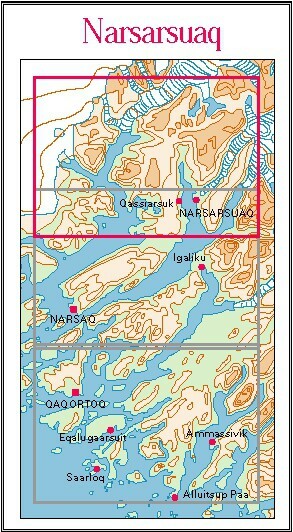 Hiking map of Narsarsuaq, South Greenland. Scale of 1: 100 000. The map contains contour lines (interval 25m). Trails of trekking are indicated, touristic informations in English and day hikes.